Dodworth Colliery Miners Welfare Band helped lead the heartfelt memorial tributes to one of the most influential trade union figures of recent times. The band played at the memorial service for Rodney Bickerstaffe on Thursday 12th April. Dodworth Colliery Miners Welfare Band played their part in remembering one of the most influential figure trade union figures of the past 30 years when they performed at the recent Memorial Service of Rodney Bickerstaffe at Central Hall in Westminster. Bickerstaffe was the General Secretary of the National Union of Public Employees (NUPE) and later UNISON, the largest trade union in the UK. He was a key advocate for the implementation of the National Minimum Wage and for the protection of the value of pensions. He later became the highly respected President of the National Pensioners Convention. The service, was attended by hundreds friends, colleagues, trade unionists and politicians, with speeches made by the Labour Party Leader Jeremy Corbyn and current UNISON General Secretary Dave Prentis. The band was chosen to play at the event under MD Eliot Darwin following their performance at the Annual NUM Memorial Service in Selby Abbey last October. Bickerstaffe was a prominent supporter of the miners and played a key role in battling to keep the coalfields open during the 1984 strike. This was an occasion for the band to hold true to its proud mining heritage and support a man who did the same. We were proud that we performed with players of all ages at such an important and emotional event. Band Chairman, Max Senior said "This was an occasion for the band to hold true to its proud mining heritage and support a man who did the same. We were proud that we performed with players of all ages at such an important and emotional event." We're fundraising to refurbish our two largest instruments. To completely replace them we'd be looking at upwards of £8,000.00 each. By refurbishing we will be able to bring our existing instruments back into a quality condition at a much lower cost. We've launched our first justgiving appeal to do just that. Dodworth Colliery Miners Welfare Band is currently celebrating its 180th year and far from taking it easy and slowing it down a bit, we're looking to prepare the band for the next 180 years. Developing talent through the Training Band and our latest venture the "Old Blowers" band aimed at those retired and interested in music. Effectively music lessons for £1 per session (including instrument loan) - music for everyone - regardless of income. Supporting our elderly and lonely residents through concerts in local care homes at Christmas and through our Boxing Day Carolling around the village. Supporting local summer galas and other important events. Supporting other fund raising efforts. We have put on concerts to raise funds for organisations such as Meningitis Now and for the recently unveiled monument to commemorate the Oaks Mining Disaster. We have been fortunate up to now that we can supply instruments to players who give up their time to play for us, many of these are advancing in years (though none quite 180). Unfortunately time does take its toll and currently our two largest instruments, our Bb basses are badly in need of refurbishment. New instruments would be around £8,000 each and refurbishment is around £2,500. We believe that refurbishing these instruments will result in a much better sound quality - very important for anyone that might want to come and listen to us play. We recognise this is a slightly strange request, but we hope that there are band supporters and music lovers out there who will support our cause and help us to continue our good work for quite some considerable time. Thank-you to everyone who made our Christmas concert a huge success! The concert was completely sold out! It was fabulous to see so many people in the audience.Further thanks to everyone who made donations to the band during our traditional Boxing Day Carolling in Dodworth Village. We are in the ongoing process of applying for some grants to help us develop our training band and involve the local community more, from youngsters to adults. More information will be publicised via newsletters and our band website. We are pleased to announce that we have been successful in obtaining two grants, one for the training band to purchases student instruments and one for the main band to purchase waterproof jackets (for use on outdoor performances, particularly remembrance day parade). Grateful thanks to the Freemasons and Dodworth Ward Alliance, respectively. Once the equipment has been ordered and received, we'll have some photographs taken to show everyone. 2016 is a special year for us. On the 8th of November the band will be 180 years old! We are still in the planning stages of some very special events and concerts to celebrate this milestone. I'm sure you will join us in sending our warmest wishes to two of the band's couples. Mr Steven Stockwell, principal euphonium, will be tying the knot with Miss Alison O'Donnell, repiano cornet, in the merry month of May this year. Then later on in September, Mr Jimmy Wilson, cornet, will have then pleasure of marrying Miss Kate Hughes, cornet. Following on from 2014, when our ranks were boosted By Richard Robinson signing for us on Soprano Cornet and our Solo Horn Position being filled by Trevor Kendall, the approaching 2015 brings exciting news! Karen Everitt has moved from soprano cornet onto Flugelhorn. Our back row cornets have been boosted by the new signing of Patrick Holder & Sharon Marshall. And Jeffrey Bailey has joined us on solo cornet. Our Chairman, Max Senior, despite dabbling with both Baritone & Tuba has settled nicely onto 2nd Tenor Horn! Our proudest news though, lies within our training organisation. Olivia Dos Reis has moved up into the senior band taking the 2nd Baritone Chair. Diane Marsden, although continuing with cornet in our training organisation, has progressed onto Tuned Percussion, in particular Timpani. Lesley Brown has returned to us as well, following a short absence and is assisting most ably within the percussion section. We are looking forward to new projects in 2015, which we will update via both our facebook page and main website. Well its been an eventful year so far! We must apologise for this page, it's been a while, we know, but hopefully we're back on track! August was almost continuous for concerts and appearances! We've had some new fundraising events ranging from Mediumship nights to Race Nights. 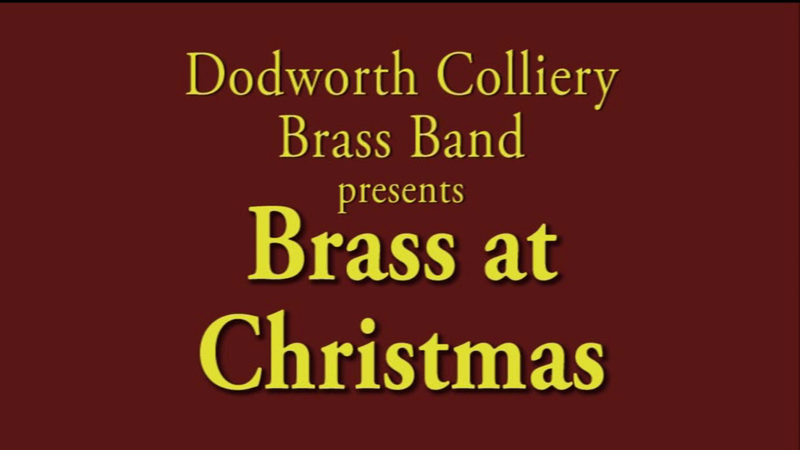 As a self-funded brass band, the support of our patrons with regular fundraising helps us survive which in turn helps us to support the local community of Dodworth. we've appeared at the Dodworth MW Gala Day in July, will be playing as part of our tribute to the fallen on Remembrance Sunday. And dare we mention the festive season in December??? We have had exciting news in September with the engagement of Mr Steven Stockwell to Ms Allie O'Donnell, two of our players. Fantastic !!!! On 15th September we had great pleasure in putting on a concert in aid of the Yorkshire Air Ambulance. This is the first time we have arranged our own charity concert, but it was a marvellous success and we were able to present a cheque for £1000 to representatives of the Yorkshire Air Ambulance who attended the concert. We also used the occasion to produce a live CD and a DVD, which includes most of the pieces we played and some documentary material about the Band. Both of these are still being edited by the Dearne Media Group, who recorded all the material, and we shall be putting them on sale soon. Keep an eye on the website for a release date. We are grateful to all our supporters, new and old, who attended the concert at the Holiday Inn, Dodworth. It was great to see so many of you there and it was fantastic that we got more new people to sign up for our patronage scheme (more details of the scheme can be found on Patrons page of this website). We were pleased to welcome another new member to Dodworth Band in August. Martin Farthing has helped the Band out on many occasions in the past playing Eb bass, but we are delighted that he has now decided to take the plunge and become a member of the Band. Martin got straight down to business at our concert at Wetherby Bandstand with his solo version of Bare Necessities. Take a look on YouTube to see his performance. We had a great afternoon at Wetherby with a big Bank Holiday weekend audience. The programme of music was designed to entertain and it seems that is exactly what it did. Members of the Band received lots of very nice comments from people who listened all afternoon. All our soloists came in for particular praise. Well done to them all. We also had another change in the line up, this time in the cornet section where Alison O'Donnell was promoted from 2nd Cornet to Repiano Cornet. Alison has played with Dodworth Band for many years, having learned to play with the Dodworth Phoenix Youth Band. Conductor Eliot Darwin commented that she had lead the back row in fine style at Wetherby. August also saw the Band on home turf playing at the Locke Park Summer Gala. The picture opposite shows the fine old bandstand. We started July off with one of the highlights of our year; Music In The Gardens at Sheffield Botanical Gardens. It was just at the start of the fantastic weather we had in July and this brought in a huge audience. We always love playing at this charity event organised by the Sheffield Rotary Club, and this year the weather made it really special. The following day we were out in the sun again, playing at the Dodworth Miners Welfare Gala. It was hot work, but our upbeat programme went down well with the residents of Dodworth. It was also an opportunity for our Training Band to show us what they can do and they put on a fantastic performance. The highlight of June was taking part in the unveiling of the Dodworth & District Miners' Memorial in the village. The memorial commemorates the deaths of men killed while working at Dodworth, Redbrook, Silkstone Fall, Stanhope Silkstone, Higham, Strafford, Robroyd and Wentworth Silkstone collieries between 1850 and 1987. The Band led a procession from St John's church to the new memorial on High Street and played for the hymns at the unveiling ceremony. These included Gresford, "The Miners' Hymn", which we played as wreaths were laid. A familiy fun day followed and the Band played a lively set of pieces including some arrangements of songs by Queen, the new Bond movie theme Skyfall, and a trumpet solo arrangement of Feeling Good. This was a marked contrast to the traditional brass band seen playing marches and hymns during the morning, and demonstrated the versatility of the current band under the baton of Eliot Darwin. At the beginning of May we had our AGM, with a fantastic turnout and a really useful meeting. Lots of ideas were brought to the meeting and we will be putting as many of them as possible into action to take the Band forward. There was some good news on the personnel front this month, with the return of Kath Hinton to fill the vacancy on 2nd Euphonium. Kath played with Dodworth Band previously and we are delighted that she has decided to come back. On the concert front, we had just one engagement, at the Sitwell Arms in Whiston. The Band kicked off a series of six Sunday evening concerts in the beer garden which are being put on as a taster for the Whiston Festival of Brass in July. April was another busy month with concerts at Rawmarsh Methodist Church and our own Spring Concert at Dodworth Methodist Church. Both concerts were in the two part format we first performed last month, with the second half giving the Band the chance to show that it can do something a bit different to the traditional brass band programme. With a bit of jazz, a bit of big band and some fantastic solos, there was something for everyone, and we had some really enthusiastic feedback from the audience after the concert. Everyone had a smile on their face and walked away with a spring in their step. Our Spring Concert was attended by most of the Band's patrons and we take this opportunity to thanks them all for their continued support. We even managed to get a few new patrons too. As usual the Training Band did a spot at the Spring Concert. Ably conducted by April Farthing they showed how much hard work they have put in and they pulled off a great performance. Following two months of contest music Dodworth Band returned to concert music and putting on some exciting entertainment. Our first engagement was a return visit to Pool in Wharfedale village hall. The concert was split into two dintinct parts, the first half being fairly traditional brass band music and the second being a much more lively programme of big band and contemporary music. The audience loved it and the organisers were full of praise for the unusual programme. Our second engagement was arranged for the Imperial Club at Mexborough, but unfortunately it coincided with the worst snow we have had for a long time. The snow started on the Friday night and only twelve of us were able to make it to the final rehearsal before the planned concert. However, the snow then came thick and fast overnight and we all woke up to at least a foot of snow on Saturday morning. We were still hopeful at this stage that the snow would stop, however, even when it stopped the sub zero temperatures meant that it was there to stay for some time. This meant that many of our members could not get to Mexborough on the Sunday night, so we reluctantly had to cancel. Hopefully we can rearrange the concert soon. In the meantime, we are hopeful of some better weather and we are busily planning our annual Spring Concert at Dodworth Methodist Church. This month the Band has released its first DVD. It is a recording of the Christmas concert performed at Dodworth Methodist Church. It includes lots of the Band's favourite Christmas music and also includes a section performed by our Training Band under the leadership of April Farthing. There are solo performances by Amy Loukes, James Hunter, Steve Stockwell and April Farthing and a not to be missed rendition of The Night Before Christmas, narrated by Max Senior. After intensive rehearsals during the first two weeks of January, the Band went off to Skegness to take part in the Butlins Mineworkers contest. It coincided with freezing temperatures and snow across much of the country, but we all made it there safely. 15 bands competed in the 2nd Section and Dodworth was drawn 11th. This year's test piece was an arrangement by Neville Buxton of a little known orchestral composition, In Memoriam, by Arthur Sullivan. Adjudicators Nicholas Childs and Paul Norley placed the Band 10th. December is always an important month for fundraising and this year was no exception. We spent four afternoons at the Juntion 32 shopping outlet playing carols and selling CDs. Our main fundraiser was the annual Chrismas concert at Dodworth chapel, which was a great success. The tickets were sold out in advance of the concert so we had a capacity audience. This was also an opportunity for the Training Band some give a performance and they did a great job. The concert as a whole went down well and we managed to raise about £1000. The whole event was also filmed and a DVD will be available soon. More news about that next month. Finally, a small group of volunteers turned out on Boxing Day to play carols around Dodworth. Well done to those who turned out. The people of Dodworth were very generous in their donations and we are very grateful for all their contributions. Dodworth Band was proud to play at the village Remembrance Day service as usual. The Band led the parade from the Miners Welfare Ground to the war memorial and played the hymns at the service, before marching back again to the band room. The Last Post was played by our MD, Eliot Darwin. As always, the event was very well attended and we were very happy to play our part. The Band was pleased to make a return visit to the Imperial Club, Mexborough at the beginning of October. Anyone who has been to the Band Club there on a Sunday night will know that it is not the biggest venue in the world and we had to get very "cosy" to fit everyone in. The audience was enthusiastic and we had lots of positive feedback. We look forward to playing there again in the future. We were delighted to welcome two new players to the Band this month. One of them, Linda Taylor, is a former member of Dodworth Band who is returning after an absence of a few years. The other, Jimmy Wilson is an experienced player from the North East who has recently moved to Barnsley. It is great to welcome them both to the Band and fill a couple of vacancies in the cornet section. Also this month we appointed our new Band President. Dave Coupland is a former player with many years service and after retiring as a player a few years ago Dave has given a great deal of time to the Band in many ways, and he continues to do so. It was therefore great to invite him to become the Band President and we are honoured that he accepted the position. Another busy month for the Band, with engagements at Wetherby Bandstand, Denaby Gala and a Bank Holiday Monday appearance at Brodsworth Hall. We had mixed fortunes with the weather, playing to an accompaniment of thunder at Wetherby, playing in shirtsleeves at Denaby because of the heat and finally, in thermals and raincoats at Brodsworth where we just managed a couple of hours when it didn't rain. We had a few hardy people who came to listen to the Band and some of them stuck it out for the entire concert. We also had some sad news in August when we heard of the death of our longstanding President Mr Aylmer Stafford. We were pleased to be able to get together a group of players to go to the funeral where we played hymns outside the crematorium at the beginning and the end of the service. July got off to a start at the Dodworth Miners Welfare Gala. The Band marched behind the NUM banner through Dodworth and followed up with a performance on the gala field. It was not the best of weather, but the band played on! We were luckier with the weather for our appearance at Sheffield Botanical Gardens the following week. After a very wet week there were fears that the Music in The Gardens event would have to be cancelled, but the weather changed just in time, and the sun shone as the Band took to the stage. The audience loved the up tempo programme and the Band had a great time too. The following day, we had a completely different engagment, at the unveiling of the new memorial to commemorate the 100th anniversary of the Cadeby mining disaster. We led the procession and played hymns at the memorial service. Unfortunately the Denaby Main Gala which had been scheduled for the same afternoon had to be postponed because the ground was waterlogged. We will be back in August for this. The Band has been rehearsing hard during June in preparation for a busy month coming up. Lots of new music has been worked on and the Band has enjoyed the challenge of playing quite a few more upbeat and modern pieces. They will be played for the first time next month at the Music In The Gardens concert in Sheffield Botanical Gardens. We were pleased to welcome one new player this month. Stephen Andrews has been helping us out on trombone for a few months and he has now decided to sign up as a registered player with the Band. Stephen is an accomplished trombone player and we are pleased that he has decided to make this move. Dodworth Band appeared as guests of the Mexborough Male Voice choir on 10th May at their annual spring concert, entitled Mozart to Mercury. This took place at a venue the Band has not performed at previously, the Dearne Playhouse in Goldthorpe. This marvellous old theatre was filled to capacity and the audience enjoyed a programme which ranged from the tragic opera piece, On With The Motley to the foot-tapping Famous British Marches. We look forward to another joint concert here on 13th December. The highlight of April was our Spring Concert on 21st at Dodworth Methodist Church. The audience enjoyed a varied and entertaining programme, including solos from Karen Everitt (Soprano Cornet) April Farthing (Cornet) and James Hunter (Trombone). The Dodworth Training Band also performed a selection of pieces, conducted by April Farthing. It was great to see the Training Band out. The Spring Concert was also used to launch the Band's new Patrons Scheme; a scheme for supporters of the Band to make an annual donation in return for complimentary tickets to our Christmas and Spring concerts and a three monthly newsletter which will give all the latest news from the Band. We got the scheme off to a great start with donations of over £200. Full details of how to become a Band Patron can be found on our Patrons page. Unfortunately it is not all good news: we now have quite a few empty seats in the Band which we need to fill as soon as possible before our busy summer of engagements. If there is anyone out there who could fill one of the empty seats (see vacancies page) do get in touch, or come along to the Bandroom and have a look. We were engaged to play two concerts in March; one at Rawmarsh Methodist Church and one in the village hall at Pool in Wharfedale. Both concerts were very well attended and the programme was very much appreciated at both venues. Our soloists in particular were very well received and we had lots of very positive comments from the audience. Our sights are now set on the Spring Concert in Dodworth on 21st April. Throughout February the Band undertook intensive rehersals on the 2nd Section Area test piece, Cross Patonce by Goff Richards. It is a challenging piece and a lot of hard work was put in by every member of the Band. On the day, with a number 11 draw we met some stiff opposition and unfortunately were placed 10th. It was a disappointment for all, but we live to fight another day. On a positive note, it was great to see Andy Loukes return to the Band this month. Rehearsals for the Butlin's Mineworkers' Open National Brass Band Festival began in earnest straight after Christmas. The test piece for the 2nd Section was an arrangement by Frank Wright of Granville Bantock's The Frogs. The Band travelled to a bracing Skegness on Friday 20th Jan for the contest on Saturday 21st. The 11th place we got was disappointing, but as they say, "that's banding!" On this occasion the frog did not turn into a prince. We finished off the year as usual with a number of Christmas concerts. The first one was an afternoon providing festive music at Clumber Park. A rather wet afternoon did not dampen the spirits of the Band and we got the Chritmas season off to a great start. We were invited once again to be the guests of Mexborough Male Voice Choir at their annual Christmas concert in St Margaret's Church Swinton. The concert was a sell out and the audience showed great appreciation for the music provided by choir and band. It was good too to provide some local entertainment for the people of Dodworth, at the Christingle service held at The Grove, our Christmas concert at Green Road Chapel, and finally a group of players turned out on Boxing Day to play carols around the village.